At AlphaSoft, happy customers mean everything. Our streamlined team of consultants and developers work together to keep your business running smoothly. We pride ourselves on being proactive when it comes to your business. We will notify you of any new Dynamics GP 3rd Party products that will improve your productivity…. We offer Dynamics GP Implementation & support, Fixed cost & ad-hoc software development. We turn business requirements into software specifications . . . Welcome to AlphaSOFT! On this site you’ll find all the Dynamics GP customizations we most commonly use on our customers’ systems. With over 20 years of Dexterity development experience, you can trust our customizations to be reliable, efficient, and scalable. Our streamlined team of developers and consultants pride themselves on attention to detail, customer satisfaction, and efficient communication. We have extensive experience in all Dynamics GP development technologies – including eConnect, .NET, VSTDGP, VSTO, VBA, and Dexterity – and are committed to making GP the best ERP package it can be. If the customization you need is not available on this site, please contact us and we’ll make every effort to accommodate your needs. A Service Level Agreement with AlphaSoft provides priority access to our services and support offerings at discounted rates. We pride ourselves on rapid and dynamic support services for our customers. We provide support remotely, on-site, or by telephone. 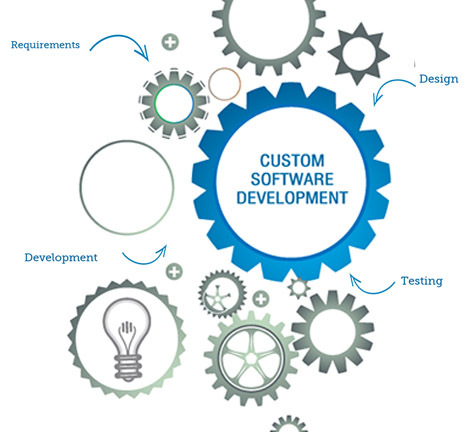 Our development team can be relied upon to assist our support team on short notice, and our agile development process allows for rapid implementation of software changes. All our consultants and developers make their mobile numbers available to our customers, in order to ensure rapid and personal response. At AlphaSoft, happy customers mean everything. Our streamlined team of consultants and developers work together to keep your business running smoothly. AlphaSOFT provides DexSense, Intellisense for Dexterity, free of charge to Dynamics GP Independent Solution Vendors and Value Added Resellers.